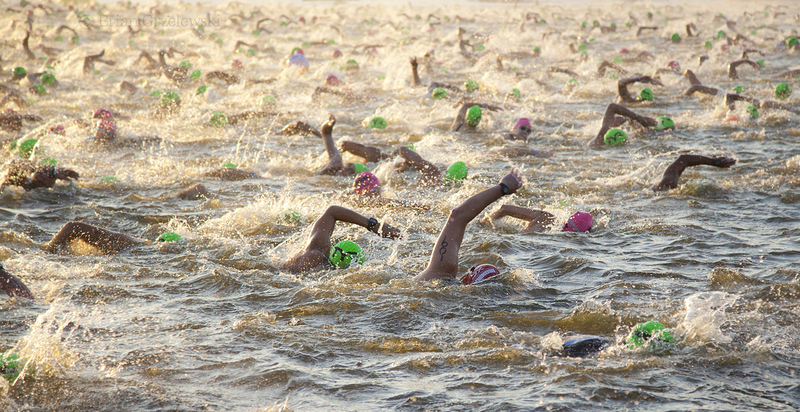 Ironman Texas begins in Lake Woodlands. Two thousand racers are all bumping into each other and getting kicked in the head. If you click on the image, you’ll see in the big version, they have their numbers written on their arms. Here, Ironman number 109 swims with the crowd. This photo and more are available at www.BriansArt.com.